Written by Christian author, Pola Muzyka. Defiance is joined by the strongholds of rebellion, contempt, and arrogance when it stands up against the word of God or God’s people. It demands its own way and it does whatever it wants in order to win. Jewish brothers defy the Nazi army to save the lives of 1,200 Jews. A person or nation defiant against God will not succeed. God doesn’t wait until the final judgment to deal with this type of defiance. Whenever we are suffering loss or pain in any way it is possible that we have been defiant against God and his Word. If we’ve been allowing this stronghold of defiance [against God] to dominate our lives, we need to repent and stop immediately. When we repented, accepted, and decided to believe Jesus Christ and salvation through him, we accepted a supernatural truth. The world and all its ways no longer had control over us. Death no longer had its sting. When we look at the world and speak or do things to appease the world, contrary to what the Word of the Lord says, we are defying God and daring him to bless us in spite of ourselves, our actions, and [at times] our own words. Statistics indicate that over 5,860,000 Jews were killed during the holocaust. 1. Analyze who you are being defiant against, If you are defiant against God while using His own words to justify your actions, judgment may come on you quickly. Psalm 75:5-7 Don’t raise your fists in defiance at the heavens or speak with such arrogance.’”6 For no one on earth—from east or west, or even from the wilderness—should raise a defiant fist. 7 It is God alone who judges; he decides who will rise and who will fall. 2. Submit to God. Become familiar with His will and His way of doing things. Hebrews 12:7 You must submit to and endure [correction] for discipline; God is dealing with you as with sons. For what son is there whom his father does not [thus] train and correct and discipline? 3. Humbly repent of any past defiance in your life that went against the word of God. Matthew 18:3 And said, Truly I say to you, unless you repent (change, turn about) and become like little children [trusting, lowly, loving, forgiving], you can never enter the kingdom of heaven [at all]. 1 Corinthians 10:21-23You cannot drink the Lord’s cup and the demons’ cup. You cannot partake of the Lord’s table and the demons’ table. 22Shall we thus provoke the Lord to jealousy and anger and indignation? Are we stronger than He [that we should defy Him]? 4. Ask God to bless and help you to follow His will, His way, and to understand His truth. John 1:16-18 Each of us has received one gift after another because of all that the Word is. 17The Teachings were given through Moses, but kindness and truth came into existence through Jesus Christ. 18No one has ever seen God. God’s only Son, the one who is closest to the Father’s heart, has made him known. 5. Amend your ways. Amend relationships with anyone you’ve hurt by past defiance. Matthew 5:23-24 So if when you are offering your gift at the altar you there remember that your brother has any [grievance] against you, 24Leave your gift at the altar and go. First make peace with your brother, and then come back and present your gift. 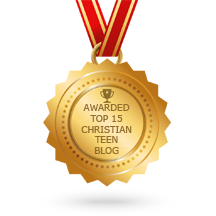 This entry was posted in A CLICK A BLESSING TODAY, CHRISTIAN FOUNDATIONS OF BELIEF, CHRISTIAN LIFE AND THE WORD, CHRISTIAN TEENS BLOGS, STRONGHOLD SMASHERS and tagged Arrogance, Biblical Advice, Christian Authors, Christian Blogs, curses, Defiance, deliverance, jesus, Jesus Christ, judgment, repentance, Stronghold, Stronghold Smasher, STRONGHOLD SMASHERS. Bookmark the permalink.